Don’t get left out in the cold! 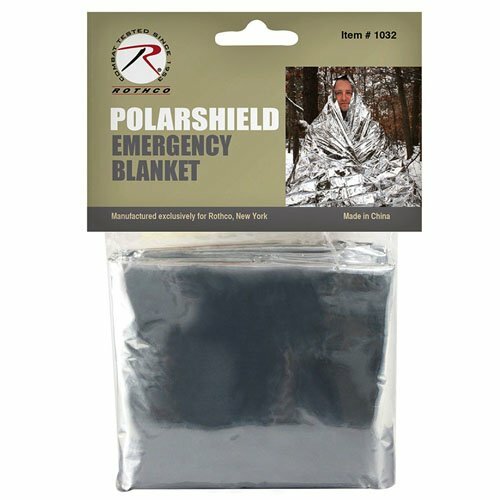 The Polarshield Survival Blanket from Rothco reflects 90% of body heat, so it will help keep you warm if you find yourself lost in the winter wilderness. Reflective blankets reduce heat loss by trapping a person’s body heat and preventing it from escaping. Their thin, compact material makes them especially suited to be packed away in a camping bag without taking much space or providing extra weight.